Huawei's flagship Honor series has been due for an update for quite some time now. 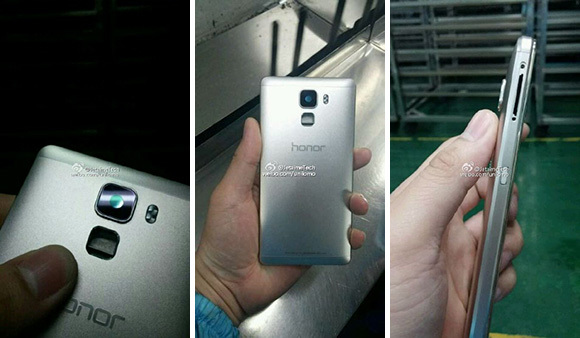 With the Honor 6 now almost a year old, a lot of rumors have been circulating about a successor. 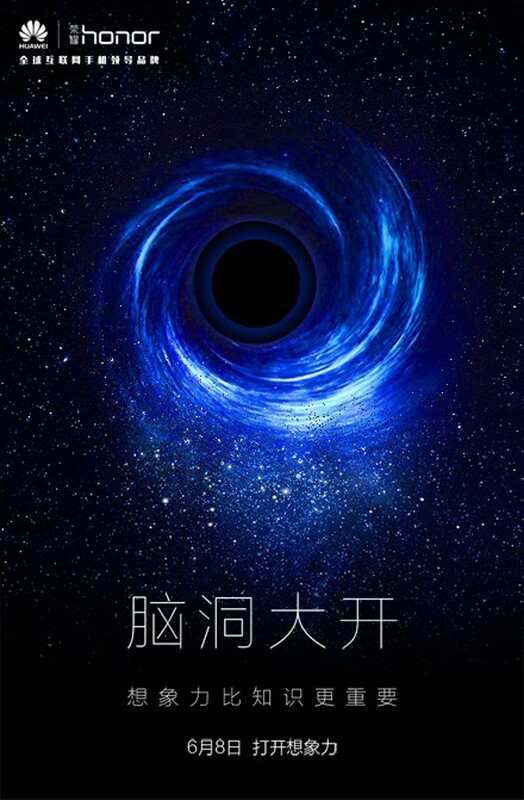 A new teaser sheds some light on the matter - revealing a launch event on June 8, which is most-likely intended for the Huawei Honor 7. The teaser itself holds little information. It consists of a nicely-drawn banner, with a date and a famous Einstein quote - "Imagination is everything". With such a vague introduction, Huawei might be planning anything. If previous rumors are to be believed, the timing coincides with what was tipped to be a June release of the handset. The only problem is, that the device, allegedly, has two variants. It is not clear whether both will be announced together, or one will come later in July, like the rumor mill predicts. Both new Honor 7 series variants have been built using the aircraft grade metal to wrap the powerful hardware inside. The two Honor 7 variants pack same hardware except the difference in storage and RAM. The Honor 7 devices will have a 5-inch 1080p display powered with home-grown Kirin 935 chipset. The regular variant will pack 3GB of RAM and 16GB of on-board storage, while the high-end one packs 4GB of RAM and 16GB of on-board storage. The camera is said to be a 13MP model with OIS. Both should run on Emotion UI 3.0 based on Android 5.0 Lollipop and pack 3,280 mAh battery. A fingerprint reader is also not of the question. Pricing is expected to be around CNY 1,999 ($322) for the base model and CNY 2,699 ($435) for the high-end one, respectively. This seems like quite a markup for a memory boost, so, perhaps, the two devices will have other differences that we don't know of yet. is this launch going to be exclusive to asia?or worldwide? this bastards keep on releasing new devices but didn't bother to give OS updates for their other devices!